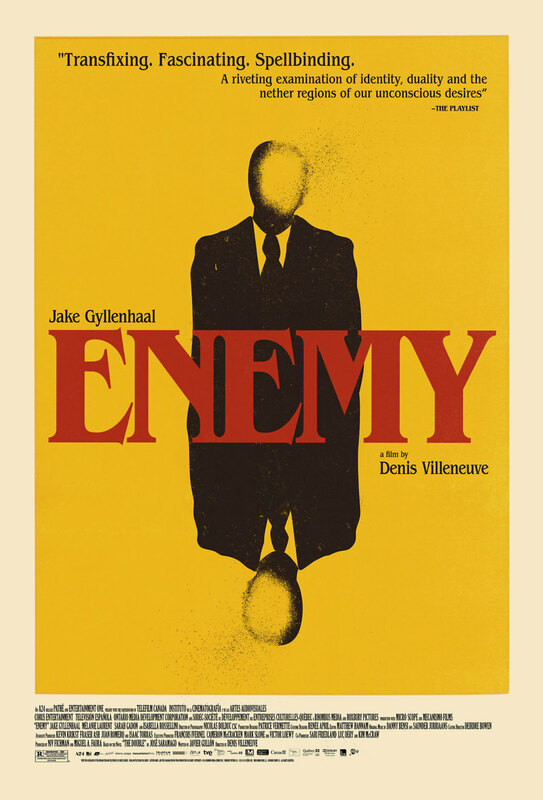 Enemy DVD and Blu-ray release date was set for June 24, 2014. Toronto history teacher Adam Bell makes a startling discovery while watching a movie. Adam notices that one of the film’s background characters, a bellhop, is played by an actor who looks exactly like himself. Adam learns the actor’s name and sets out to find him. Ultimately the two men meet and it becomes clear that, though they have never met before, their lives are full of startling similarities. Both competitive in nature, the two men immediately find themselves in conflict with each other and each one attempts to seduce the other's female companion. In the end, only one is left standing.